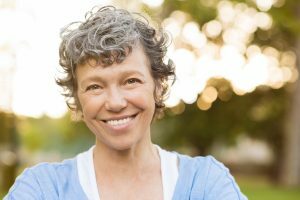 Are You a Candidate for Dental Implants in Las Cruces? When you struggle with a compromised tooth it impacts your daily life in many ways. Eating can become difficult and even impossible with certain foods because you can’t properly chew it. Smiling and talking to others may feel embarrassing, as sometimes a missing tooth affects your speech. You may also feel self conscious about the appearance of your smile. The good news is that there are excellent solutions for replacing your missing tooth, and you might be a candidate for dental implants in Las Cruces. While you’re navigating daily life with the challenges of a missing tooth, you may not realize that your oral health is also being impacted. When you lose a root, your jawbone has nothing left to support and it begins to deteriorate. This eventually eliminates support for your remaining teeth and leads to more tooth loss. If you don’t replace your missing tooth, your healthy teeth begin to move and shift into the open space, which causes problems with bite misalignment and increases your risk of fractures and other damage to your teeth. When your bite becomes compromised, you may experience issues with your jaw joint that causes pain and headaches. It’s a good idea to replace a missing tooth as soon as possible in order to protect your oral health. A dental implant is the ideal solution for tooth replacement because it restores both your root and your tooth. A post comprised of titanium is placed into your jawbone during surgery, and then given time to heal. Titanium is biocompatible and integrates naturally with your bone over a period of 3-6 months. This creates a firm foundation for your new tooth, which is a customized porcelain crown. Our doctors will design your new crown to match your missing tooth in both form and aesthetics. You will enjoy all the function you once had such as chewing, smiling, and talking, and you’ll have the same beautiful smile you once appreciated. Dr. Ramon Ortiz or Dr. Natalie Ortiz can determine if implants are right for you during a thorough exam and x-rays. Implants do require that you’re in good overall health, and that you have enough healthy bone structure present to properly support it. If it seems that implants are not a good fit for you, there are other replacement options that Drs. Ortiz can discuss with you. Are you ready to reclaim your oral health and your confidence? Contact your dentist in Las Cruces today to schedule your implant consultation. Comments Off on Are You a Candidate for Dental Implants in Las Cruces?